My customer service team receives tough questions from well water customers – almost daily – regarding how often they should change their well water filter. Personally – I love it when we get these questions. Well water drinkers are a fiercely loyal bunch that understands the importance of clean water in just about every aspect of their life beyond personal hydration, from cooking and gardening to farming, pet care and home brewing. Within seconds, you can tell in their voice how much they truly care about their drinking water. 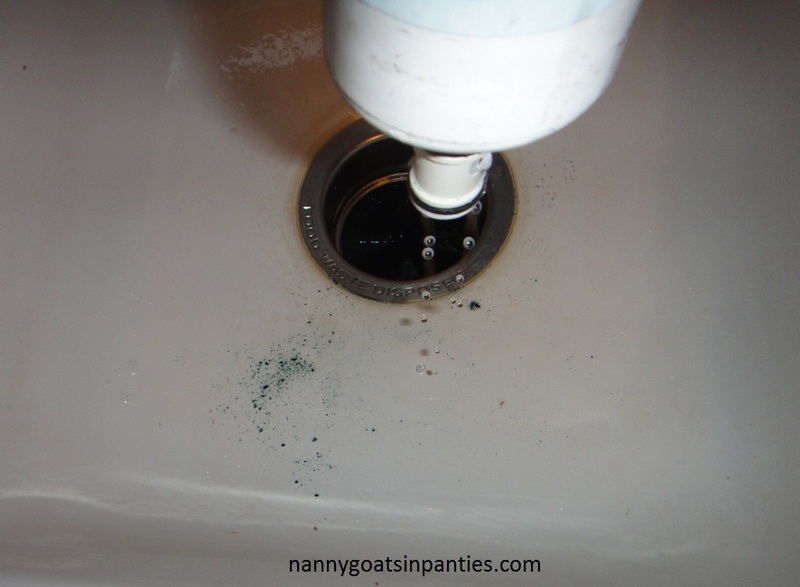 Unlike city water drinkers that have become accustomed to chemical treatments and alerts, well water drinkers oftentimes can find themselves playing guessing games regarding what may be in their water – based on smell, taste or color. My answer to these customers regarding how often they should change their well water filter is always this question: how long has it been since you’ve had a water test done? Because a well water’s source is far more dependent on environmental factors, the frequency of well water filter changes finds itself more dependent on season and geography. Geography has obvious factors, of course, primarily related to weather and seasonality. During spring in colder climates snow melt – and all the potential sediments snow has absorbed – can seep into well water, significantly altering flavor, quality and odor. 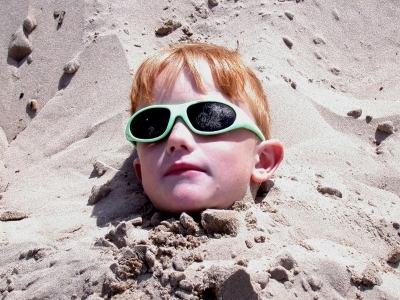 Heavy rain and droughts throughout the country can also have unusual chemical effects. Geography can also come into play in less obvious ways, such as what sort of ground the well is drilled into or whether or not there is nearby run-off from farms and fields. As I’m writing this, we are entering into the first few weeks of autumn, a fairly significant time for potential well water issues, as leaves and debris join agricultural run-off in our environment. Both run-off and decomposing organic matter can easily find their way into well water supplies, causing issues ranging from mildly annoying to potentially troubling. In addition to being a time for leaves and harvests, autumn also marks a return to the cabin for many of you who get away once or twice a year. And when you are a cabin dweller, you are almost certainly a well water user. If you fall into this group, plan to sanitize with a well water sanitizer pack and test your water before you consume it again for the first time. (Remember, however, not to run any sanitizer or bleach products through your filter housings when the filters are IN the housing.) Very likely, this will lead you to change your cabin’s water filters before you see your faucets as a source of safe hydration. In fact, if you have a filter in your cabin during the cold months, you will need to drain the housing and toss the filter before turning the heat off or it can freeze and crack causing crazy leakage the next time you try to use that filter housing. Also, in the warmer months, if you aren’t using that water regularly and the filter sits in that housing full of warmish water, there is always the possibility of algae or mold growth. Counties and townships – and oftentimes local state universities – will offer well water testing for specific contaminants (see one example here from Washington County in Minnesota) with a fee attached. 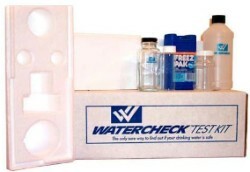 We also offer water test kits on our site, some of which include full independent lab analysis, for less than $200. 1) Test your water twice a year and change filters when you test. 2) Put your filter change reminders on the calendar for every three months. 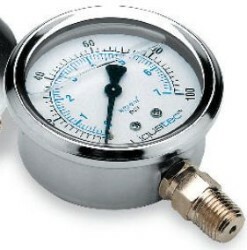 3) Put a pressure gauge inline before and after your filter housings. When there is a 10 to 15PSI loss of pressure it is time to change your filter. If you have any additional questions regarding how often you should change your well water filter, I would encourage you to give our customer service team a call at 1-888-801-7873 so they can help find the right system for your needs. This is a great and informative article. I currently have a well for my water, and just love it. It wasn’t until a few months ago that I decided to get a water filter to filter the water, as it had always been fine, except during spring, where it would have a funny smell. Someone told me that I should always filter the water regardless, and am hoping I don’t get the smell this spring. I find your articles very informative. 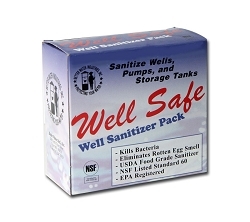 I particularly like the well water sanitation product ‘Well-Safe’. It is very effective in Jacksonville, Fl for providing homeowners a reliable water treatment solution for maintaining quality water. Thank you for the comment – we’re glad this post was helpful!